Ashley joined Alabama’s 13 news team in October 2011 as the weekend morning anchor. Ashley got her chance in sixth grade when her middle school launched a television production class. She was eager to get involved and make her mark. It wasn’t long before Ashley got a taste of being in front of the camera and she was hooked from the very beginning. Ashley attended Tallahassee Community College and Florida Agricultural & Mechanical University in her hometown. During college, she interned at WCTV in Tallahassee. Shortly after, she was hired as an associate producer, which eventually led to a weekend reporting position. Ashley also did some producing, reporting and anchoring for FAMU’s radio station, 90.5 the Flava, which is the No. 1 HBCU radio station in the nation. 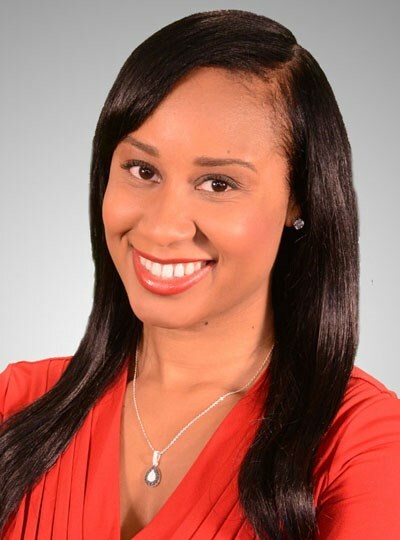 Ashley landed her first big job at WMBB-TV in Panama City, Fla. as a general assignment reporter, where she covered several hurricanes and shark attacks. After two years of living in the sun and on the beautiful beaches of the panhandle, Ashley was ready for a change. The next stop turned out to be WSLS-TV in Roanoke, Va. As soon as she arrived in southwest Virginia, she hit the ground running. Ashley was one of the first reporters on the scene at Virginia Tech for the 2007 deadly shootings. She brought viewers updates on the fatalities and interviewed victims’ families after the tragedy. She was also the first local reporter to speak with one of the students who jumped from a second story window to save her life. Over the years, Ashley has covered some of the biggest stories in southwest Virginia including a hostage situation at the Wytheville Post Office, the nationwide search for Brittany Smith and her accused abductor Jeffrey Easley, and tornadoes that destroyed dozens of homes and properties in Pulaski County. She covered the deadly tornado in Halifax County and how the area was denied assistance from FEMA. No matter the story, Ashley delivers each one with credibility, creativity and compassion. Viewers tell Ashley they love her down-to-earth reporting, her ability to deliver information in a clear and concise way and her ability to hold people in power accountable.